The ARM Surface Meteorology Systems (MET) use mainly conventional in situ sensors to obtain 1-minute statistics of surface wind speed, wind direction, air temperature, relative humidity, barometric pressure, and rain-rate. Sensors may be added to or removed from the base set depending upon the deployment location, climate regime, or programmatic needs. Sensor types may also change depending upon the climate regime of the deployment. Sullivan R, D Cook, V Ghate, V Kotamarthi, and Y Feng. 2019. "Improved Spatiotemporal Representativeness and Bias Reduction of Satellite-Based Evapotranspiration Retrievals via Use of In Situ Meteorology and Constrained Canopy Surface Resistance." Journal of Geophysical Research: Biogeosciences, , 10.1029/2018JG004744. ONLINE. Chandra A, P Zuidema, S Krueger, A Kochanski, S de Szoeke, and J Zhang. 2018. "Moisture distributions in tropical cold pools from equatorial Indian Ocean observations and cloud-resolving simulations." Journal of Geophysical Research: Atmospheres, 123(20), 10.1029/2018JD028634. Varble A, S Nesbit, P Salio, E Zipser, S van den Heever, G McFarquhar, P Kollias, S Kreidenweis, P DeMott, M Jensen, R Houze, Jr., K Rasmussen, R Leung, D Romps, D Gochis, E Avila, and C Williams. 2018. 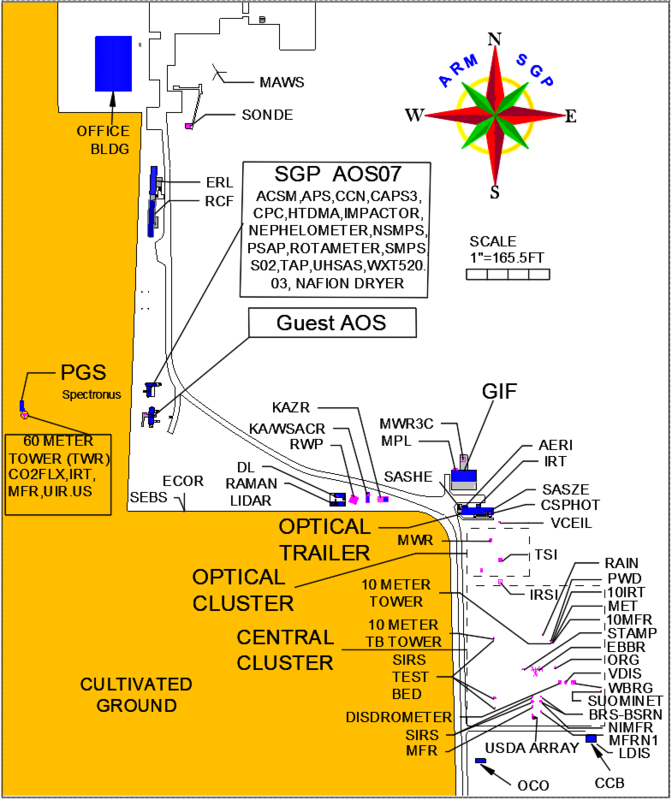 Cloud, Aerosol, and Complex Terrain Interactions (CACTI) Science Plan. Ed. by Robert Stafford, DOE ARM Climate Research Facility. DOE/SC-ARM-17-004. Kyrouac J and A Theisen. 2018. Biases of the MET Temperature and Relative Humidity Sensor (HMP45) Report. Ed. by Robert Stafford, ARM Climate Research Facility. DOE/SC-ARM-TR-192. Maahn M, G de Boer, J Creamean, G Feingold, G McFarquhar, W Wu, and F Mei. 2017. "The observed influence of local anthropogenic pollution on northern Alaskan cloud properties." Atmospheric Chemistry and Physics, 17(23), doi:10.5194/acp-17-14709-2017. Zhu W, A Lv, S Jia, and L Sun. 2017. "Development and evaluation of the MTVDI for soil moisture monitoring." Journal of Geophysical Research: Atmospheres, 122(11), 10.1002/2017JD026607. von Lerber A, D Moisseev, L Bliven, W Petersen, A Harri, and V Chandrasekar. 2017. "Microphysical properties of snow and their link to Ze–S relation during BAECC 2014." Journal of Applied Meteorology and Climatology, 56(6), 10.1175/JAMC-D-16-0379.1. Zhuang Y, R Fu, J Marengo, and H Wang. 2017. "Seasonal variation of shallow-to-deep convection transition and its link to the environmental conditions over the Central Amazon." Journal of Geophysical Research: Atmospheres, 122(5), 10.1002/2016JD025993.